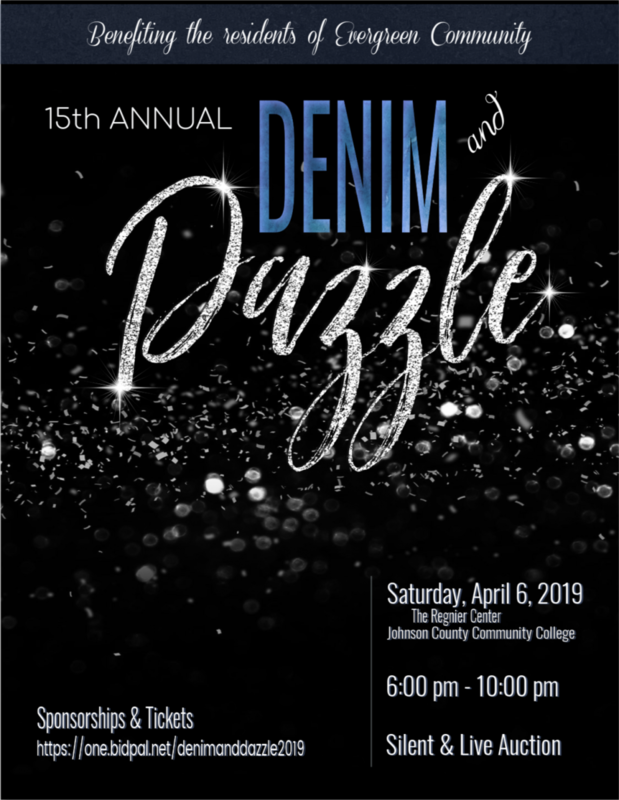 Please join us for our signature fundraising event, Denim and Dazzle. All proceeds go to support residents of Evergreen Community of Johnson County. Evergreen Community has been serving Johnson County for over 150 years. Help us make 2019 the best year yet! We're also looking for help to make this event even better and would greatly appreciate your assistance. Sponsor or donate today. Contact Belinda Vierthaler at belindav@gerti.org or call (913) 477-8242. Join our Denim & Dazzle email list to receive the latest news! Can My Veteran's Benefits Pay for Senior Living? For more information, call Justine at (913) 477-8227. WITHOUT SELLING YOUR HOME OR LEAVING YOUR FAMILY WITHOUT A DIME! How to find the right Senior Care Community and what to expect in the process. How to get good care at a Senior Care Community. Our mission is to provide the best person directed care possible to Evergreen Community residents, regardless of their resources, and to continue this mission we rely on the generosity of individuals like you. Your contributions help us enhance the lives of those we serve. Our promise to you is we will ensure your financial support directly impacts Evergreen residents through services and enhancements that contribute to a more meaningful life. At Evergreen, we lift up individuals 365 days a year in their home with dignity and respect. It is a balancing act due to stagnant Medicaid reimbursement rates and rising supply, equipment, and wage costs. The purchase of new therapy equipment is planned for the first quarter of 2018. However, it will only be successful if we can raise the necessary $10,000 from generous individual donors like you. Stacey Braden, Health Coach and Quality Assurance Nurse, and Cristal Hernandez, Staffing Coordinator, have both been named in the LeadingAge Kansas 2018 Class of the Center For Leadership. This it the ninth year for the program. Congratulations to Stacy and Cristal! Read more about the program here. Taste approximately 40 wines from many noted producers. KC Bier Co. has graciously agreed to be a part of our event. Although it’s hard to imagine that someone may not love wine, those of you who love KC Bier Co. more will love this addition. Participants must be 21 years of age. This year’s event offers a new freshness and unique twists that will ensure the event remains one of the most anticipated and best attended events of the year. One of the most notable additions is a $5,000 Travel Voucher Raffle. The winning ticket will be drawn during the May 6 event. Additionally, commemorative wine glasses will be etched with the Rotary logo and distributed as event souvenirs. Retired Marine 1st Lt. John J. O'Leary recently celebrated his 100th birthday at the Evergreen Community of Johnson County, Olathe, Kansas. 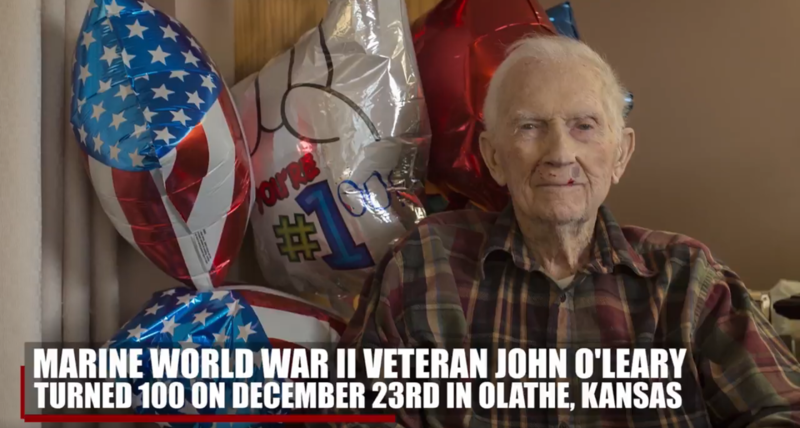 O'Leary is one of a fraction of the more than 16 million Americans who served in World War II still alive today. He joined the Marine Corps following the Dec. 7, 1941, Japanese attack on Pearl Harbor. He was assigned to lead a shore beach party with the 3rd Joint Assault Signal Company. In June 1944, he fought to retake the island of Guam from the Japanese. He later witnessed the bombing of Iwo Jima from his troop's ship. "I had to become a good ducker," O'Leary said. "I spent a year and a half on Guam. That's a long time. I have a lot of memories." O'Leary's birthday coincides with the 100th anniversary of the Marine Corps Reserve, established by President Woodrow Wilson on Aug. 29, 1916. "The Marine Corps is a great organization," O'Leary said. "It's full of a lot of dedicated individuals. I'm very proud of my time as a Marine." The 25th Annual JCYM Home Holidays Tour and Boutique is Tuesday, November 15th from 9:30am - 8:00pm. Tickets are $25 in advance or $30 the day of the tour. The 2-day Holiday Boutique is free. All proceeds benefit seven local charities, one of which is Evergreen Community of Johnson County. ECOJC will be spotlighted at the the home located at 12711 W. 160th, Overland Park, KS. For more information, visit www.JCYM.net. GERTI is pleased to announce that Belinda Vierthaler has accepted the GERTI Director position. Belinda received her bachelors and masters degrees in social work from the University of Kansas. 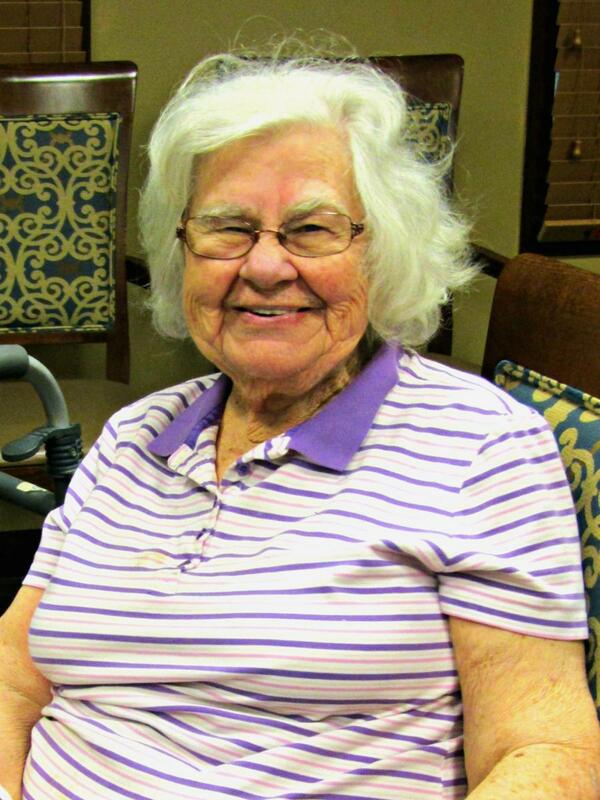 In 2001, she began her career in senior living as an assisted living operator. It was during this time that she solidified her passion to ensure residents are the center of everything we do. She also has served as a nursing home administrator and executive director. She was appointed as Kansas State Long-Term Care Ombudsman in 2009 by Governor Mark Parkinson. Her advocacy continues as she instructs future assisted living operators and nursing home administrators at Johnson County Community College. KSHB Channel 41 News visited Evergreen Community and interviewed Chris Osborn, interim CEO, and Ruth Martinez, family member of an Evergreen resident, about the KanCare application delay for funding. To learn more, click on the picture below.